Ray Wylie Hubbard shares stories about whore dog gigs, unscrupulous promoters, Jerry Jeff Walker, Willie Nelson, Stevie Ray Vaughan, Freddie King and a ton more. Slaid Cleaves pays tribute to Don Walser, Fred Eaglesmith, Ray Wylie Hubbard and Gurf Morlix for taking the time to teach him a few lessons along the way. Aaron Allan talks about being the first person to interview Johnny Cash while working as a disc jockey in San Antonio in the 1950s. Mike Bub shares stories about Bill Monroe hanging and playing at Nashville’s Bluegrass Mecca, The Station Inn. Shawn Camp shares stories about his friendship with the great Guy Clark. Kenny Vaughan shares stories about being around one of the all time great artists, Merle Haggard. 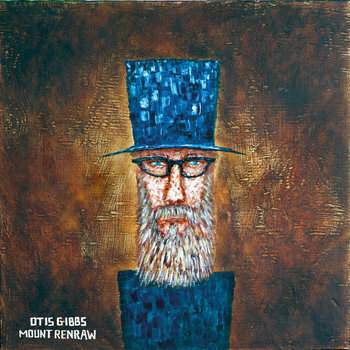 Otis tell stories and shares a preview of his new album, Mount Renraw. Legendary recording engineer, Lou Bradley talks about recording George Jones’ all time classic, He Stopped Loving Her Today. Legendary engineer, Lou Bradley shares memories of recording Charlie Rich’s classic album, Behind Closed Doors. Lou shares stories about Charlie Rich, Billy Sherrill, Pig Robbins and everyone else involved in making this all time classic album. Barry Mazor tells the story of Jimmie Rodgers’ final days, his heroic final recording session and his last train ride. Billy Bragg explains how Skiffle made the British Invasion possible. Barry Mazor is the author of Ralph Peer And The Making Of Popular Roots Music and he’s sharing stories about how Ralph Peer changed the music business.